Not a lot going on these days... what with my final weeks of schooling and all.... nope... it's tumbleweeds around here... literally. Heh! I actually love tumbleweeds. 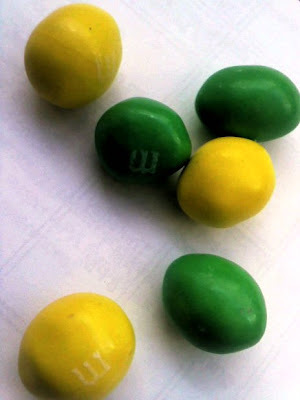 For a long time I didn't know they were real. Been doing lots of research online. It's slow going. Every now and then I run across some noggin-scratcher. 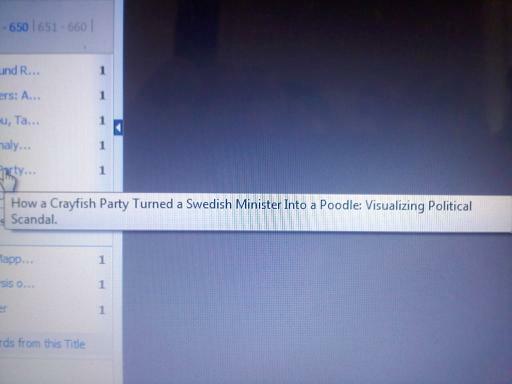 In one of my academic journal databases I ran across this article: "How a Crayfish Party Turned a Swedish Minister Into a Poodle: Visualizing Political Scandal." I strive to select such a colorful title for my work. 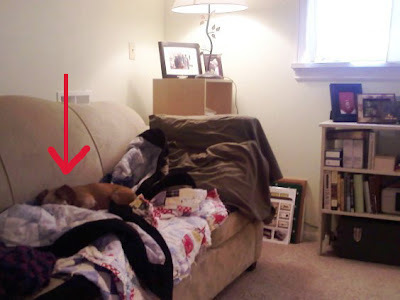 My tiny red research assistant tinkers out pretty early these days. Lure of the couch in our office and all. A funny little analog vending machine was installed in the lunchroom at work, the old-school kind that takes quarters only. A recent vend yielded this. Providence! Go Ducks!